of another the law allows recovery for all economic loss that can be proved AND for pain and suffering. Economic loss can include all doctor/medical bills, lost wages/salary, and possibly future medical expenses. Usually these are all expenses that have already occurred and are easy to show because you already have the bills for treatment received, etc. Pain and suffering is different and is an intangible amount that is given to each person’s case. This amount varies greatly from injury to injury. Most common types of personal injury cases are car accidents and usually with car accidents insurance companies are involved. In order to help you navigate all the intricacies of dealing with insurance companies it is best to hire an attorney who is experienced in this area. 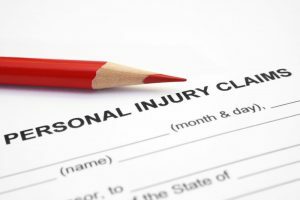 Following an accident in which personal injuries occur one should seek medical care to address the injuries as soon as possible. If police come to the scene of the accident get a police report number. Also, get the name, phone number, address, and car insurance information of the person who caused the accident. Take pictures of the cars showing the damage and/or areas of impact, injuries, and scene of the accident. If there are any witnesses, get their contact information and maybe a short written statement of what they saw. All of the above information can help your legal case a great deal because it is data that is gathered close in time to the accident, while memories of the events are still fresh in people’s minds. Contact Joseph Crudo, PLC today for a free consultation.